If you happened to read my recent article on how to get kids to eat healthy, you may recall that one of my tips was to introduce kids to clean eating with cleaner remakes of classic favorites. 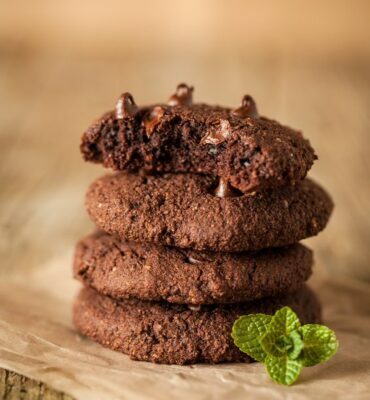 Serving cleaner versions of dishes your kids already recognize (such as chocolate cookies!) will almost always be better received rather than serving something radically new and unfamiliar. 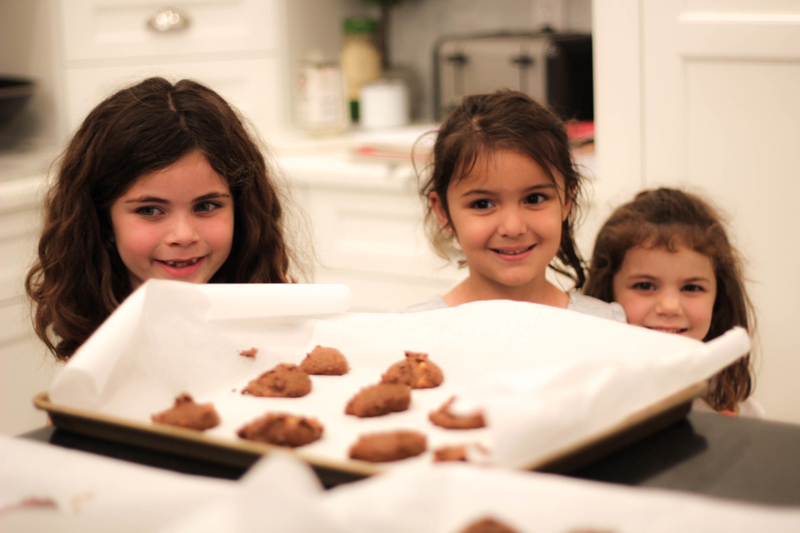 My second tip for getting kids to eat healthy was to get them into the kitchen and get them cooking. I followed my own advice when Cherie Fromson, our Clean Cuisine Health Coach, brought her daughter Emery to spend the afternoon with me last week. Emery is six years old and she didn’t seem to think there was anything odd about adding chickpeas to the cookie dough batter, by the way. 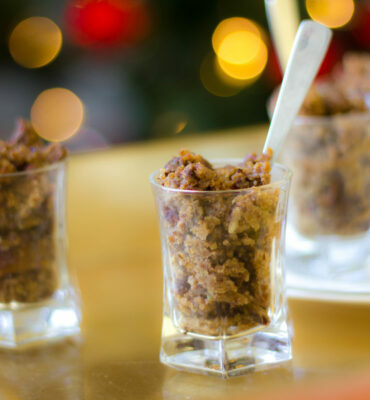 If the idea of mixing beans into your cookie batter does not sound all that appetizing, don’t worry! You truly do not taste the beans at all. 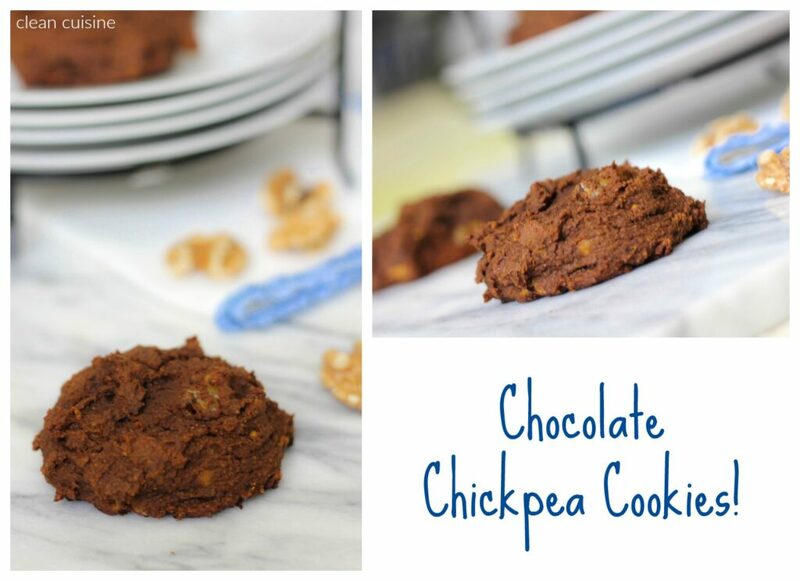 Chickpeas in particular have a very mild flavor and happen to be a great bean for mixing into cookie batter. All you have to do is puree the chickpeas with the wet ingredients and then proceed like any other cookie by mixing the wet with the dry. 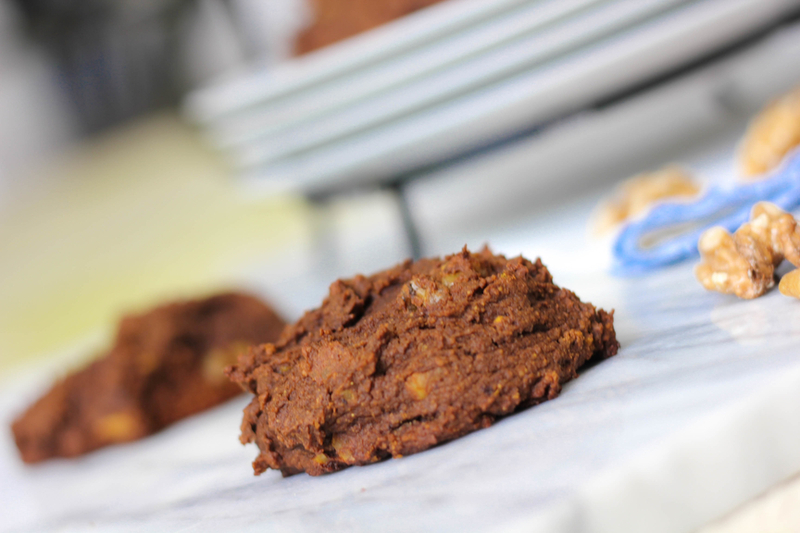 Use sprouted whole grain spelt flour instead of enriched flour. Add bananas as a sweetener. Use unrefined natural sweeteners (pure maple syrup and coconut palm sugar) rather than regular sugar. Use organic, pasture-raised eggs rather than conventional eggs. Use superfood raw cacao powder instead of cocoa powder. And finally, I added in raw walnuts for an omega-3 boost! Chocolate Chickpea Cookies look and taste like regular cookies but are made with superfood beans, sweetened with bananas and unrefined sugar, dairy free and 100% whole grain. Preheat oven to 375 degrees. Line 2 cookie sheets with parchment paper. In a high speed blender (such as a Vitamix) or food processor, add the oil, vanilla, egg, chickpeas, banana and syrup; process until smooth and creamy. Set wet mixture aside. 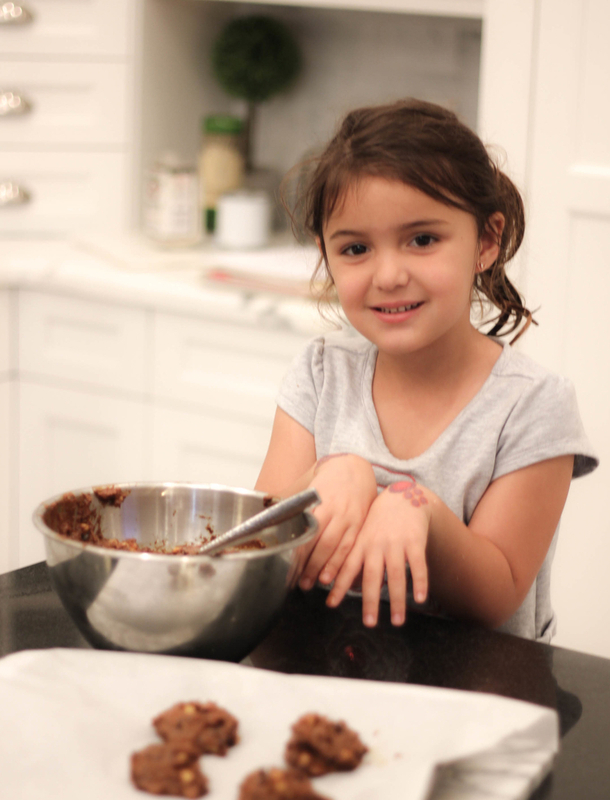 In a medium sized mixing bowl, mix together the flour, baking soda, salt, sugar and cacao powder. Add the wet ingredients to the dry and mix well. Stir in the walnuts. Drop the dough by heaping tablespoonful onto the baking sheet, spacing the cookies about an inch apart. Bake until cookies are just cooked through, about 13 to 15 minutes. Transfer to a rack to cool. 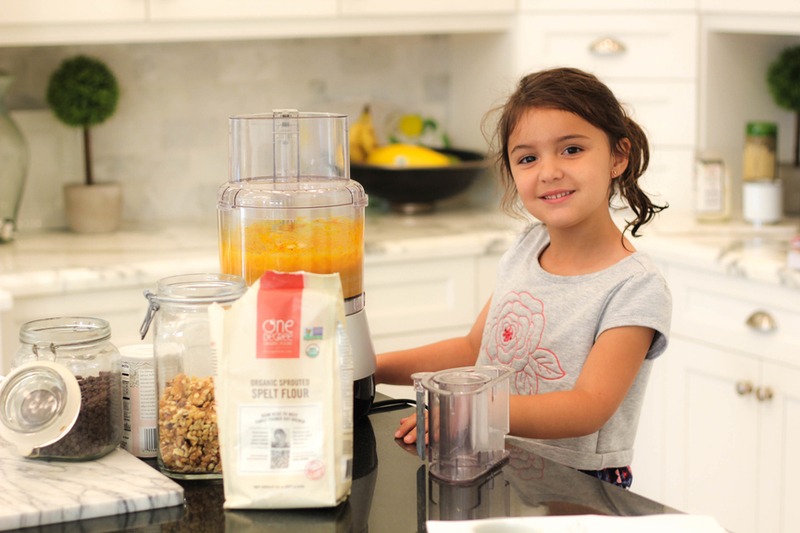 WANT TO GET YOUR WHOLE FAMILY ON BOARD WITH EATING CLEAN? Be sure to check out our Clean Cuisine book! The book outlines an 8-Week program that the entire family (including the kids!) can follow together. Can I substitute olive oil or coconut oil in place of the red palm oil if I don’t have the red palm oil on hand. Hi Holly, you can substitute extra virgin coconut oil for sure, but I wouldn’t use olive oil only because it cooks much differently than either coconut oil or red palm oil.